The fins are manufactured by embedding the fin strip into a groove formed on the base tube. The Fin is allowed to be placed in the groove and then the backfilling of the groove is carried out to ensure firm adherence of the fins to the base tubes. Because of the process this type of Fin Tube is also known as ‘G’ Fin tube or Grooved Fin Tube. 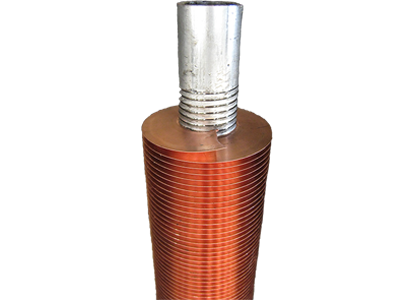 The grooving, fin stack inserting and the backfilling processes are carried put simultaneously as continuous operation. Because of the back filling procedure the bond between the Fin material and the Base tube is one of the best. This ensures optimum Heat Transfer. Manufacturing Process: – Grooving and Embedding the Fin Stock in the Base Tubes. Mechanical Resistance: – Very Good.